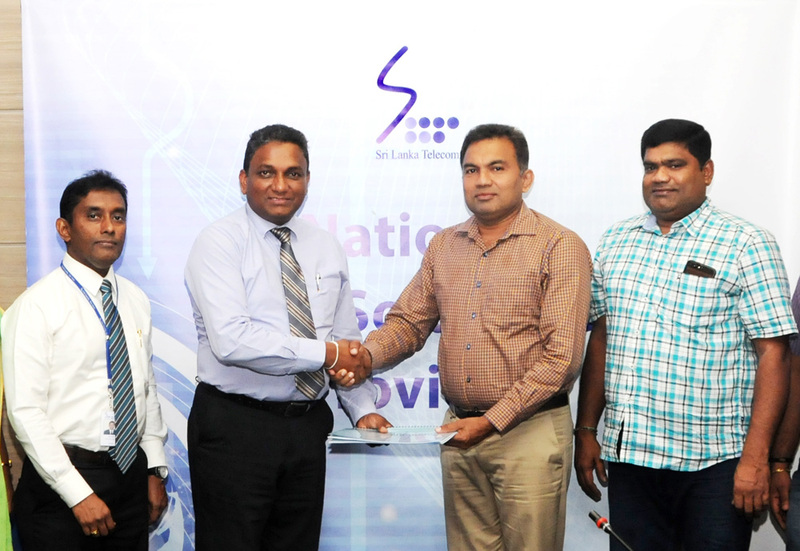 Sri Lanka Telecom (SLT), the national ICT solutions provider in the country entered into an agreement with Coral Property Developers (Pvt) Ltd., the niche property development company, to power Coral’s latest luxury apartments with SLT’s state of the art fibre technology. The agreement between the two companies was signed by Mr. Kiththi Perera – CEO of SLT and Mr. Imantha Wijekoon – Chief Sales Officer of SLT while Mr. S. Pirabaharan – Chairman and Mr. S. Vasiharan - Managing Director signed on behalf of Coral Property Developers at a special function held at SLT premises recently. Under the agreement, SLT will provide the fibre infrastructure for 8 upcoming niche properties located in Colombo: Coral Plus – Colombo 04, Coral Saffron – Colombo 15, Coral City - Gampaha, Coral X – Colombo 03 and Coral Lake Menara – Rajagiriya. Via SLT’s state of the art fibre technology, residents of these niche properties will have access to ultra-fast broadband connectivity, crystal clear voice communications and high quality entertainment services via PEO TV. Residents will also have access to intercom facilities to communicate within the apartments. Coral Properties is an internationally owned niche property development company based in Colombo that has grown locally and moved in to international markets. Having been established in 2003, Coral has over a decade’s history in the construction field, with over 300 satisfied customers during which the company completed a multitude of niche, strategic property ventures which provides convenience to the upwardly mobile homemaker. They specialize in providing innovative living experiences to their customers. Left to right - Ms. Shiromi Saputhanthri-Legal officer-SLT, Mr. Chethana Attanayake DGM/Metro (Sales)-SLT, Mr. Lakmal Jayasinghe GM/Sales Metro-SLT, Ms. Kumari Wijesuriya-Manager/External Channel-SLT, Mr. Imantha Wijekoon-Chief Sales Officer-SLT, Mr. Kiththi Perera – CEO-SLT , Mr. Pirabaharan- Chairman- Coral property Developers (Pvt) Ltd, Mr. S. Vasiharan-Managing Director/ Coral property Developers (Pvt) Ltd, Mr. D. Navaneeth- Project Engineer/ Coral property Developers (Pvt) Ltd, Ms. S.C.Kaushika-Planning Engineer/ Coral property Developers (Pvt) Ltd.